Cambodia won’t stay hidden from international investors for much longer. Revised GDP figures from the World Bank show growth will hit 7 percent yet again. Cambodia has been growing this fast since the global crisis of 2008-2009. In fact, two different online investor publications in the last month have named Cambodia as one of the best places in Asia to lay down money. Both say there’s enormous potential in the region. But what’s in the cards for this year? There will be a boost to human resources. Companies here are raising the bar for professionalism. Growing tech systems will play a larger part in the industry. These systems will boost efficiency and productivity. Finally, challenges could arise in the form of oversupply in the condo and retail market. However, both the affordable segment and community mall segments are showing more potential than ever. Pushing education is, of course, a major priority in the Kingdom. The real estate sector is no different. Experts have called for a boost to human resources. In fact, in our yearly survey, nearly 40 percent of respondents called for more standardised agent licences and training. The real estate program at the University of Economics and Finance (UEF) is doing a lot to raise the standards. Bun Chhay, board member at UEF, said the school is already admitting the second generation of students to its real estate agency and valuation program. “Over the course of 2018, we trained 400 students and prepared them for a range of careers in the real estate industry. Many have already been fully certified and have their licences from the Ministry of Economy and Finance,” he said. As activity in the Kingdom’s real estate sector ramps up, customers want more professionalism. They expect better service and faster results. Indeed, international buyers expect service to be on par with countries like Vietnam, Thailand and Malaysia. Realestate.com.kh itself has brought a new enterprise solution to the market that will take the industry to a new level. The customer relationship management system, dubbed RealestateCRM, is meant to be an all-in-one tool for local agents. “The tagline of the project is ‘work smarter not harder,’ the system will keep information centralised. It will save agents both time and money,” said Pheara Moeun, the company’s CRM manager. In addition to tech systems there has been a commitment to training as well. Chrek Soknim, the general manager of Century 21 Mekong, was last month named as the new head of the Cambodia Valuers and Estate Agents Association (CVEA). He mentioned during the announcement ceremony that bolstering human resources would be a priority during his two-year term. “The world’s economic growth remains strong, and Asean’s economy will be on the rise. 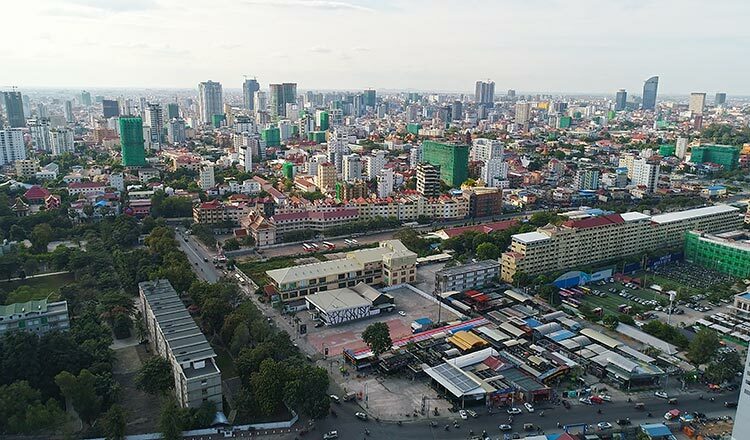 For Cambodia, I am still optimistic about the real estate market over the course of 2019. The market will continue to grow in all aspects related to residential, commercial, and property management,” Mr Soknim told Realestate.com.kh during an interview this week. 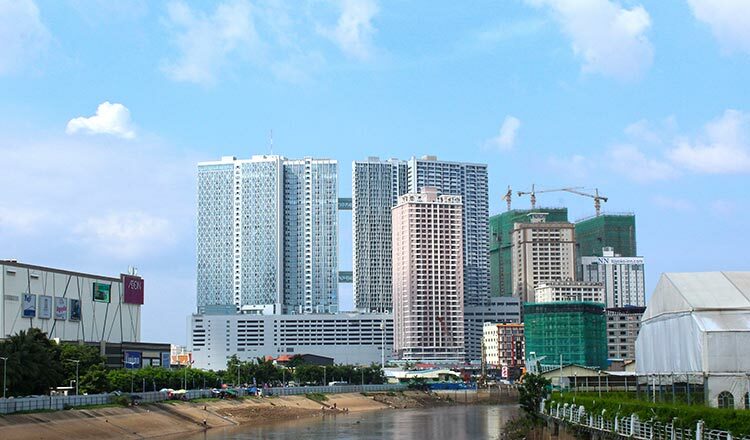 It is becoming increasingly clear that Cambodian real estate has two distinct segments. The market for locals is based mainly on affordable condos, boreys, houses and land. Both local investors and international buyers, however, occupy the segment for mid- and high-range condos. James Hewson, manager of research and consulting at real estate firm CBRE, said that affordable condos are still a fairly new idea in the Kingdom. Adoption is slow, but there is demand. During the release of CBRE’s market outlook earlier this week, Mr Hewson said there are slight fears of an oversupply in the mid- and high-end condo market. Affordable condos, however, have plenty of room for growth. Any fears of a shock, he said, were tempered by the fact that rental rates have remained steady for condos across the board. For more breaking news stay tuned to Realestate.com.kh’s blog and download our Investment Guide 2019 for FREE!